At Chemtech Alloys we Manufacture, Export and Supply Inconel Plates like Inconel 800 Pipe Fittings and many more. These Inconel Plates are manufactured using highly graded material and techniques which are matching international standards. These are available in various dimensions and can also be custom tailored according to the clients' requirements. We are capable of managing bulk orders in a timely manner, owing to our efficient logistics team and storage facilities. 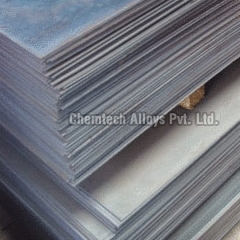 We export these Inconel Plates to a wide customer base outside India as well. Our quality driven approach has set us apart from other Inconel Plates Exporters and Suppliers in the market. Clients can avail these Inconel Plates at market leading prices from us.